The Wells Hydroelectric Project (a.k.a. Wells Dam) is owned and operated by the Douglas County PUD and has been generating power since 1967. 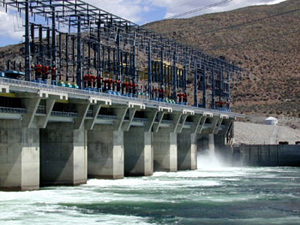 The dam is over 4,400 feet long and its ten generating units provide over 840 megawatts of power. 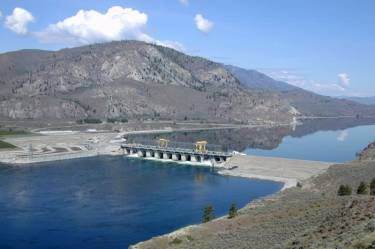 In addition to the Douglas County PUD, the dam provides power to the Confederated Tribes of the Colville Indian Reservation, Puget Sound Energy, Portland General Electric Company, PacifiCorp, Avista Corporation, and the Okanogan County Public Utility District. The dam’s fish ladders allow adult salmon and steelhead to travel upstream, and a specially designed system prevents juvenile fish from getting caught in the turbines. In the summer of 2018, Portland Bolt provided tie rod assemblies for ongoing maintenance of the dam. These large diameter assemblies included special headed clevis pins with a recess nut. If your project requires tie rod assemblies, give one of our salespeople a call. With our 85,000 sq. ft. facility, in-house hot-dip galvanizing line, and the ability to manufacture assemblies in virtually any length, we can provide whatever your project requires.